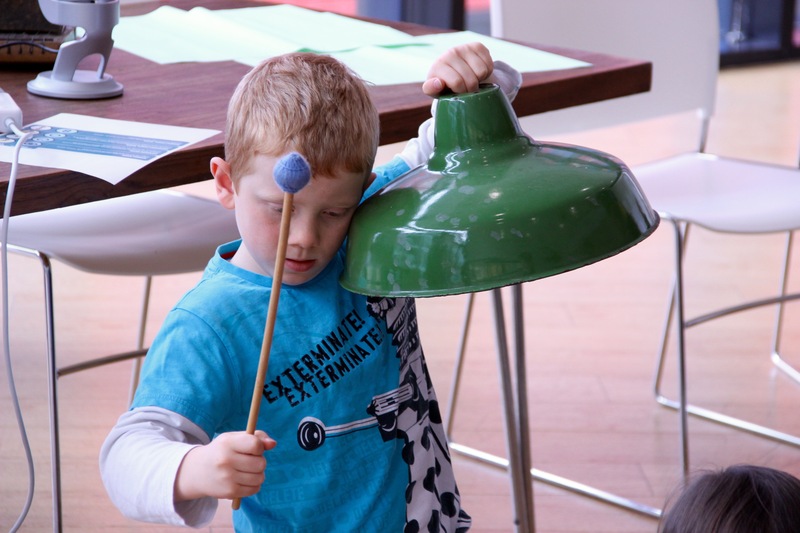 As we compile our Annual Report and take stock after another round of wonderful Delia Derbyshire Day activities, we would like to thank everyone who helped make it all happen. DD Day 2016 took place on Sunday 17 January at HOME cinema and arts centre in Manchester. We chose this venue as it HOME is a new high profile arts venue with high quality cinema and music facilities. This helped us to further raise the profile of Delia Derbyshire and her cultural legacy and thereby increase the impact of our charitable objectives. 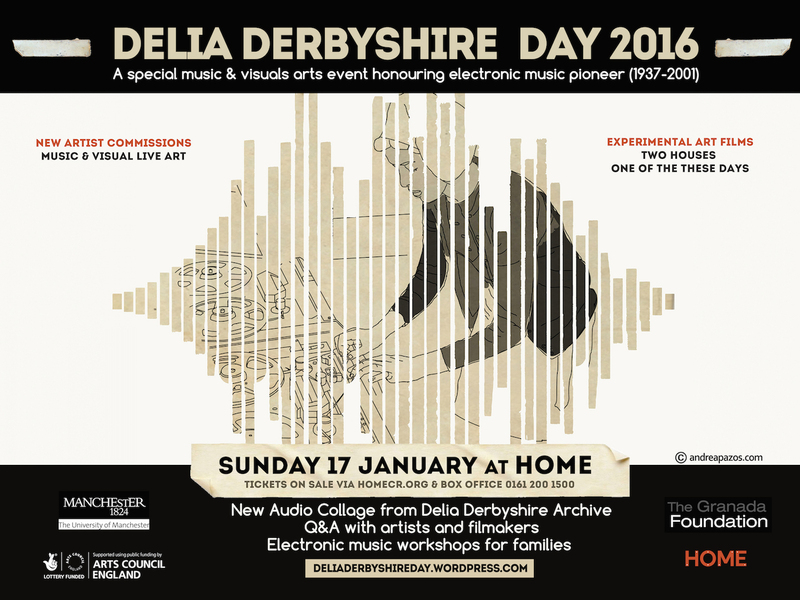 Partnership event with Digital Women’s Archive North – [DWAN] Digital Women’s Archive North and Delia Derbyshire Day teamed up to deliver a pre-DD Day 2016 event, titled Archiving Women’s Performance Practice, on Thursday 14 Jan 2016, 5.30pm-9.30pm at HOME. This was a high impact event for the organisation and our aims as the Delia Derbyshire archive is becoming increasingly integrated into the Manchester music landscape and beyond. Representatives and leaders of arts & education organisations and many interesting artists were present and took part in the event’s discussions and informal networking. Leeds College of Music – we were invited to present a touring event of DD Day on Tues 2 Feb 2016 as part of Leeds College of Music 50th anniversary events programme. This was a showcase of DD Day new music & digital visual commissions from 2013-2016 featuring Mandy Wigby/Architects of Rosslyn & Di Mainstone, Daniel Weaver & Andrea Pazos and Caro C & Andrea Pazos. What another attentive audience and a lovely venue with great sound facilities and enthusiastic staff. We are now cooking up our plans for the next phase of development as a charitable organisation. This will involve organisational development, fundraising, planning the next DD Day and further developing our education work with John Rylands Library (home of DD Archive). More info in due course. We are so grateful for another rewarding phase of our DD Day endeavours. Heartfelt thanks to our audiences for coming along to our events and being so supportive and attentive; all the children taking part in our education and participation work who have been inspired by Delia and worked hard to learn a lot about music technology in a relatively short time; commissioned artists for embracing the challenge of producing a creative response to Delia’s archive with such respect for Delia, passion, and dedication to their craft; media supporters for helping publicise Delia’s work and the work of DD Day to much wider audiences, funding bodies Arts Council of England, The Granada Foundation and University of Manchester Social Impact Fund; the hardworking staff at HOME for helping produce a great event in their high quality venue; Mark Ayres for re-mastering “Two Houses” film for DD Day 2016; David Butler for co-curating DD Day 2016, producing the fascinating new audio collage of archive material, successfully raising and managing funds from University of Manchester Social Impact Fund; Jenna Ashton for doing most of the organisation for the DWAN/DD Day partnership event; trustees for agreeing to take on the responsibility and filling out all the paperwork to get DD Day off the ground as a CIO. And lastly of course thank you to Delia for being such an inspiring, dedicated craftswoman and creative talent with such a fascinating body of work and enduring cultural legacy. Here’s to another great year and more exciting developments for DD Day!